Like true romances that weather every storm, meticulously fabricated pearls too, stand the test of time. each piece reinventing the class of the woman who wears it. Delicate blooms meet vintage elegance in this cheongsam couture. Tradition meets sensual in this pearl piece. One of the first couture gowns Amanda Lee ever created, this regal number elevates class yet keeps things fun and bold - perfect for the modern woman. "Find me in all the places I blush crimson." "The man on the street might tell you not to overdo it, but don't be afraid to be a little crazy." Sequin on animal print speaks volumes of the modern-day woman - she says yes to adventure and keeps them coming back for more. And when you say "dress to impress", a little faux fur never hurts. "Nothing like contemporary madness and a whole lot of sparkle." "Let the finer things in life take center stage." Eastern elegance meets Western charm in this one-of-a-kind couture mermaid. your silhouette perfectly accentuated with abstract blue accents. Then let tulle do the talking. "And as always, be like the wine you fancy." 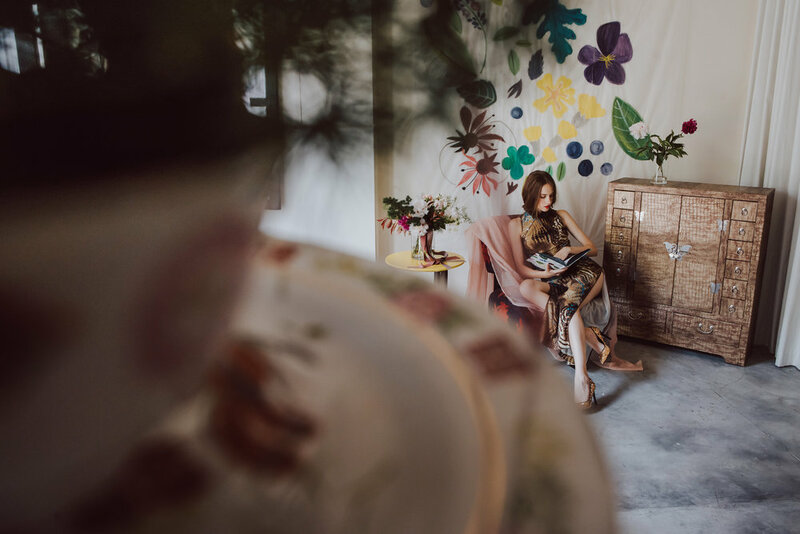 In this styled shoot, we brought out the best of Amanda Lee's couture gowns, made over the years and inspired by the ever-changing concept of being a woman in this age. Admirably adventurous yet courting the conventional, each gown represents a uniqueness that reminds us just why we love our craft. Whether you've grown with us over the years or just jumped on our bandwagon, thank you for your support. We can't wait to continue creating with you.